Saturday December 29, 2018-Director of Public Prosecutions (DPP), Noordin Haji, has revealed why prominent city lawyer, Prof Tom Ojienda, was arrested on Friday. 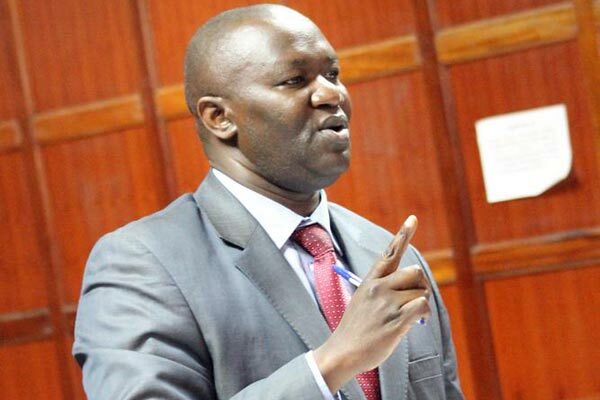 Ojienda, who is a member of Judicial Service Commission (JSC), was arrested together with lawyer Peter Wanyama and the two are being held at Muthaiga Police Station. According to DPP, Ojienda was arrested for defrauding Mumias Sugar company Sh 200 million together with Wanyama and former Nairobi Governor , Dr Evans Kidero. However in a statement, Ojienda denied having ever conspired to defraud the sugar company through fake cases. “I have read the Director of Public Prosecution's statement with utter shock and disbelief. I would like to state without any fear of contradiction that I do not, I cannot and I have never filed a fake case. I have never conspired with any person to be paid for work not done,” Ojienda wrote on his WhatsApp page. Ojienda’s arrest comes in the wake of a protracted court battle between him and Kenya Revenue Authority (KRA) over tax compliance. The taxman has filed an appeal after High Court judge Wilfrida Okwany directed that KRA issue a tax compliance certificate at a time when the taxman is demanding Sh443.6 million arrears from the advocate. The case will be heard next year.